I usually use this space to talk about what were doing at SoundStage!, or to discuss industry trends. From this month on, I also want to use it to talk about products that I believe are breaking new ground and changing the way we use our audio systems. This is certainly the case with Anthems Statement D2v preamplifier-processor ($7499 USD). 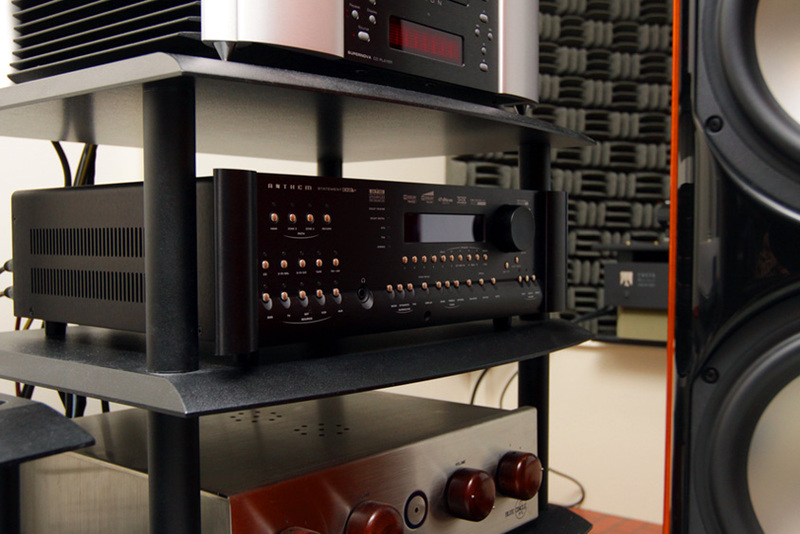 Many will think of the D2v as a home-theater product, but its much more useful than that. Its as adept with music as with movies, and unlike most pre-pros, it allows you to blend those two worlds into a single system while maintaining very high quality. The video image that the D2v sends to my projector is as impressive as the number of options included to control and tweak it. Video-wise, I havent found a thing the D2v doesnt do well. But it was how it handled two-channel audio that really opened my ears, and caused me to explore more possibilities with it. The Statement D2v has 19 inputs that can accept a digital audio datastream: eight HDMI, seven coaxial (RCA), three optical (TosLink), and one balanced (XLR). The only thing it lacks is USB. All incoming signals are upsampled to 24-bit/92kHz, with a resulting sound quality thats not to quibble about. 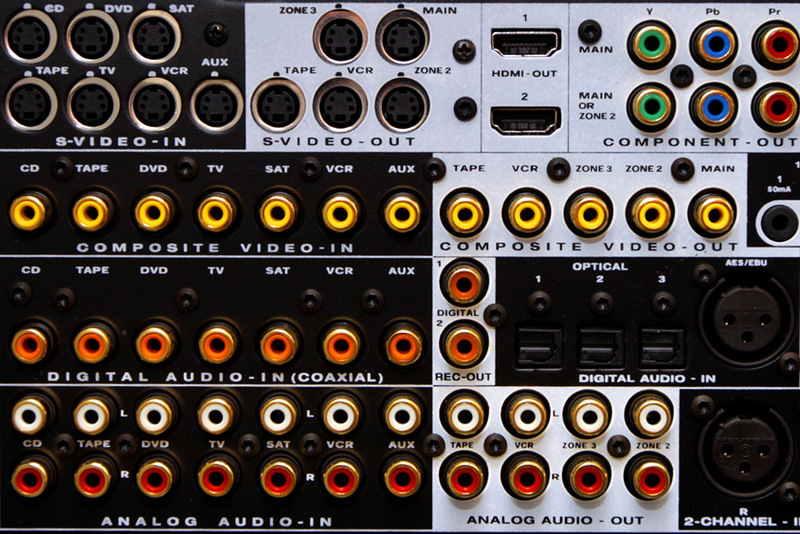 The D2v's coaxial, optical, and XLR digital-audio inputs can be seen in this back-panel photo. I compared the sound of the D2vs internal digital-to-analog converter with that of two very good single-box DACs I had on hand, the Stello DA220 Mk.II and the Benchmark Media Systems DAC1 HDR, and found it to be just as good as either. I was surprised, because those DACs cost just south of $2000 each. (Benchmarks plain ol DAC1 actually lists for about $1000, a stellar bargain, but it lacks the features of the $1895 DAC1 HDR.) Theyre basically as good as you can get without paying an insane amount of money for the state of the art -- which will probably be only a smidgen better while costing many times as much. That kind of performance puts the D2v in good company. Obviously, if you use the D2vs D/A converter, you wont need an external DAC. Thats how Im listening to music right now -- one less box on my shelf, at no extra cost. The D2vs Analog Direct mode is highly transparent and very clean, which, despite all the D2vs bells and whistles, still allows its preamp stage to fall under the category of what old-school purists like to call the ideal preamplifier: "a straight wire with gain." In other words, the incoming signal is boosted but is otherwise entirely unchanged. Again, I was surprised by the quality of the D2vs performance as a preamp; other home-theater pre-pros Ive tried have sounded veiled and indistinct enough to be unusable in a true high-end audio system. And, as with the D2vs DAC performance, youd have to spend a lot more to better its preamplifier stage -- likely for something that approaches the state of the art, with a price tag to match. For instance, Simaudios Moon Evolution P-7 preamplifier is just a little bit more transparent than the D2v, letting me hear just a touch deeper into the recording -- but it costs $6900, almost as much as the D2v, and is only a two-channel preamp; the D2v has a zillion other options. That should give you a sense of what kind of deal the D2v is. Because the Statement D2v is equally adept with pure audio and home theater, its changed the configuration of my home system. Whereas two separate systems once occupied my listening space -- one for home theater, the other for stereo, with components that sometimes crossed -- I now have a single system with the D2v at the center, and still experience a high degree of fidelity. And because this setup is so much more convenient, its actually increased my enjoyment of my system and the amount of time I spend using it. Thats because, with the D2v in the mix, I no longer have to go through the hassle of turning on and off multiple systems, not to mention sometimes changing some components around. Now, with the press of a button on the remote, I can be watching DVD or Blu-ray movies one moment, and listening to two-channel music the next. The D2v is a high-performing bridge between the worlds of music and movies, and its this strength that I dont think has been emphasized enough in past reviews of the product. I love this thing. ". . . the D2v is the perfect centerpiece." But thats not to say that I recommend that audiophiles move en masse to a component such as the Anthem Statement D2v. Im a reviewer -- as much as I enjoy the D2v, I probably wont be able to keep my systems running this way, with all signals run through one central box. Products continue to arrive for review, and I need separates around to be able to evaluate them properly and fairly. Likewise, for someone who wants to chase the state of the art of audio or home theater, doesnt mind the inconvenience of multiple components, and has money to burn to explore these options, separates still have their place. But for the person who wants a system that combines home theater and two-channel, enjoys the convenience, but wants to give up as little as possible either way; or for someone who has one type of system, home theater or two-channel audio, and wants the potential to have both -- the D2v is the perfect centerpiece. If I ever quit reviewing, Id set up a system with, at its heart, a Statement D2v or its future equivalent. So if you were thinking of the Anthem Statement D2v as a home-theater-only product, think again; its performance and features make it just as relevant to audiophiles, and thats why I think it such an important product. Its also a bargain. While the D2vs $7499 price isnt chump change, even if you use only a few of its features, as Im doing right now, it can still be considered moderately priced. Take advantage of everything it offers (Ive only scratched the surface of its features here) and its actually cheap. Try to replicate everything it does with separate components and youll probably end up spending two or three times as much. The high-performing, feature-rich Anthem Statement D2v is one of the great products of today, with features and versatility that, tomorrow, wont be expected but demanded. Its a glimpse of the future -- right now.